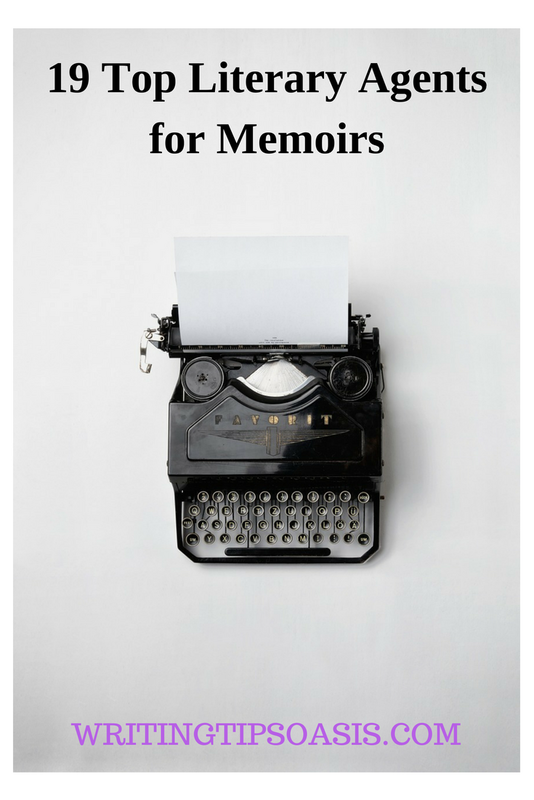 If you’ve written a memoir that provides an account of memories from your life, either personal or professional and want to send your manuscript directly to a book publishing house, here are 19 publishers looking for memoirs. Alternatively, one of the following 19 top literary agents for memoirs who are experts in finding authors large book publishers might be able to help. Both a literary agent and a founding partner of Fuse Literary, Gordon has many years of experience as an agent, marketing director and editor. His specialties lie in the nonfiction realm of publication, and he has a specific interest in captivating memoirs. He is currently accepting new submissions, and the best way to get in contact with him is by sending a query via email. Due to the volume of submissions that he receives, it may take a few weeks to hear back. More information on how to send a submission can be found here. Jennifer De Chiara is not only a literary agent, but a fellow writer. As president and senior agent, The Jennifer De Chiara Literary Agency, she is passionate about what she does and is eager to represent up and coming writers with unique voices. When it comes to nonfiction, she is particularly interested in the subjects of Hollywood and memoirs about people involved in the fine arts. If you are interested in submitting your manuscript for representation, you should send a query letter via email. Be sure to include a proposal, a sample chapter, a short author bio and a synopsis of your book in the body of the email. More information on how to submit your manuscript can be found here. It’s highly recommended that you send a query letter first directly to Roz’s email. Be sure to include a brief overview of your book, a short description about yourself, potential delivery dates and similar titles that you feel your manuscript is like. When it comes to memoirs, Chris Park is a specialist. As a literary agent with Foundry Literary & Media, Chris has worked with authors like Brett Favre, author of the NFL quarterback memoir “Favre.” With a degree in English from Harvard University, Chris is a hardworking and professional worth collaborating with in the publishing industry. She only accepts submissions via email, and your submission should conform to the Foundry submission guidelines, found here. For memoir submissions, be sure to include a query letter, sample chapters, a table of contents, and a short author bio. Jessica Papin has been a literary agent with Dystel, Goderich & Bourret LLC (DG&B) since 2003, and spent nearly eight years prior as an editor for Warner Books. Her career in the publishing industry began in 1995 and has worked with authors like Nobel Laureate Naguib Mahfouz and international bestseller Alaa Al Aswany. For nonfiction material, you can send a query letter directly to Jessica via email. You should include a brief overview of your memoir, a table of contents, a few sample chapters and a brief author biography. Anjali Singh has been a part of the publishing industry since 1996 when she began her career as a literary scout. Now a literary agent with Ayesha Pande Literary, she not only seeks submissions for memoirs, but literary thrillers, young adult literature and graphic novels. She has worked with renowned novelists such as Chimamanda Ngozi Adichie and Samantha Hunt. If you’re interested in sending Anjali a query about your submission, you can actually do so on the Ayesha Pande Literary website. Select Anjali’s name, provide a few details about yourself, along with your contact information, and a brief description about your project. Rob Kirkpatrick’s area of expertise is in the field of memoirs, biographies, history, sports and pop culture. He is currently a literary agent with The Stuart Agency, established in 2002. Some titles that Rob has worked on include “The Wrecking Crew” by Kent Hartman and “The Agent” by Michael Arkush. He is currently in search of new memoir submissions. If you would like to get in contact with him, you can send him a query letter directly via email or through the Stuart Agency submissions page. Be sure to include a brief description of your work, a table of contents and a sample chapter of your memoir to give Rob a good idea about what your project is all about. Sam Hiyate is both a literary agent and the president of The Rights Factory. He has represented a long list of authors, from Alexandra Grigorescu (“Cauchemar”) to Yvette d’Entremon (“SciBabe’s Ten Rules to BS Detection”). Having worked with publishing companies like Gutter Press and the Lavin Agency, Sam has many years of experience under his belt. He is currently seeking memoir submissions and books about business and commercial upmarket. The best way to get in contact with Sam is by sending him a query letter directly to his email or through The Rights Factory’s contact page. With over twenty-four years of experience, Erin Niumata is a literary agent with Folio Literary Management. She specifically represents clients who write commercial nonfiction, including memoirs. She’s worked with authors like James Guiliani and actress Angela Featherstone and nearly twenty-eight different New York Times bestsellers. The best way to get in contact with Erin is to submit a query via email. Be sure to include the first ten pages of your manuscript or a manuscript proposal in the body of the email. Emily Forland is a literary agent with Brandt & Hochman Literary Agents, Inc. She represents clients who write both fiction and nonfiction and has worked with several bestsellers and prize winners. She is currently seeking new submissions and accepts memoir projects, along with works about history, cooking and graphic novels. She accepts queries by email only. Mailed submissions will not be accepted. Alexis Hurley is a literary agent with InkWell Management, and has been with the company since its creation in 2004. She graduated from Dickinson College with a BA in English and Art History. She primarily focuses on works of commercial fiction, memoirs and narrative nonfiction. If you’re interested in being represented by Alexis, the best way to get in contact is by first sending a query letter via email. Be sure to include the first few chapters of your work. InkWell management does not accept queries over the phone. If interested, you can expect to hear back from them within one to two months upon receipt. Another literary agent from Brand & Hochman Literary Agents, Inc., Emma Patterson is a literary agent with a lot of expertise when it comes to memoirs. While she also represents writers of investigative journalism and popular history, Emma is a capable agent with years of experience in the industry. She does not accept queries via mail, but will be more than happy to take a look at your submission if you send it to her in the form of an email. Having founded the Zimmermann Literary Agency in 2003, Helen Zimmerman has a ton of experience in the publishing industry. She represents Susan Richards, author of “Chosen by A Horse,” which recently became a New York Times bestseller. She is currently in search of non-fiction works on topics such as health and wellness, relationships, popular culture, women’s issues, lifestyle, sports and music, as well as memoirs that “speak to a larger social or historical circumstance.” If you would like to get in contact with Helen, you can send a query letter to her via email only. If interested, you can expect to hear back from her within two weeks. Lauren Galit is passionate about what she does. She’s been with the LKG Agency since 2005 and has represented clients like Clinton Kelly, author of “Freakin’ Fabulous,” and Nick Arrojo, author of “Great Hair.” With over ten years of experience, Lauren strives to represent authors with works of nonfiction, including attention-grabbing memoirs. There are two ways to submit your manuscript to Lauren: either directly through email or through authors.me. If you decide to send your query by email, be sure to include the first two chapters as a sample, a table of contents and an overview of each chapter. As both a literary agent and the president of The Ethan Ellenberg Literary Agency, Ethan has a lot of experience that make him an agent worth seeking out. He’s been in the publishing industry since 1984. One of his most notable clients includes the Caldecott winner, Eric Rohmann. If interested, you can submit your query by either mail or email. The only types of work that Ethan isn’t currently seeking are works of poetry, short stories or screenplays. If you choose to submit your query by mail, be sure to include an SASE to receive a response. Starting his career in 1981 as an editor with St. Martin’s Press, Brian is now the founder of DeFiore & Company, which he founded in 1999. He has worked with authors like Brandon Stanton, author and creator of the social media sensation “Humans of New York: Stories,” and Brandy Dunn-Engler, author of “The Men on My Couch.” Brian has said himself that he prefers memoirs, works of popular culture, pop science, sports, self-help and inspiration books and cookbooks. You can send a query to Brian via email or regular mail. Your query should clearly state what kind of book you’re interested in writing or have written, a brief description of what your book is about, and a little biography about yourself and any relevant interests. Peter McGuigan is another literary agent and founding partner of Foundry Literary & Media. He has worked with international bestselling authors like Dan Brown and Nicholas Sparks. With a degree in English from Virginia Tech and Virginia Commonwealth University, Peter aims to represent “controversial, out of the ordinary or provocative subjects and authors.” He only accepts submissions via email, but if you have any questions about how to submit your manuscript to Peter or to any of the author fantastic agents at Foundry Literary & Media, they have an entire list of criteria on their submissions page. As the founder of Park Literary Management, Theresa Park has many years of experience in the publishing industry. She has worked with talented clients like Nicholas Sparks, Emily Giffin and Cecelia Ahern. Originally a lawyer, she uses her business savvy to assist budding and inspiring new authors get their works out into the world. Park Literary Management is currently accepting new queries by email only. Be sure to write in the subject line the name of the literary agent that you’re hoping to work with. For memoir submissions, be sure to include a proposal and sample chapters for review. Noah Ballard is a literary agent with Curtis Brown, Ltd. Based out of New York. He has a specific interest in narrative nonfiction works, including memoirs, journalism and pop culture. He currently accepts submissions electronically. It can take anywhere between three to four weeks to hear back from him should he be interested in your work. If your interested in working with another agent, you can send your submission via mail. Just be sure to include an SASE if you hope to hear a response! 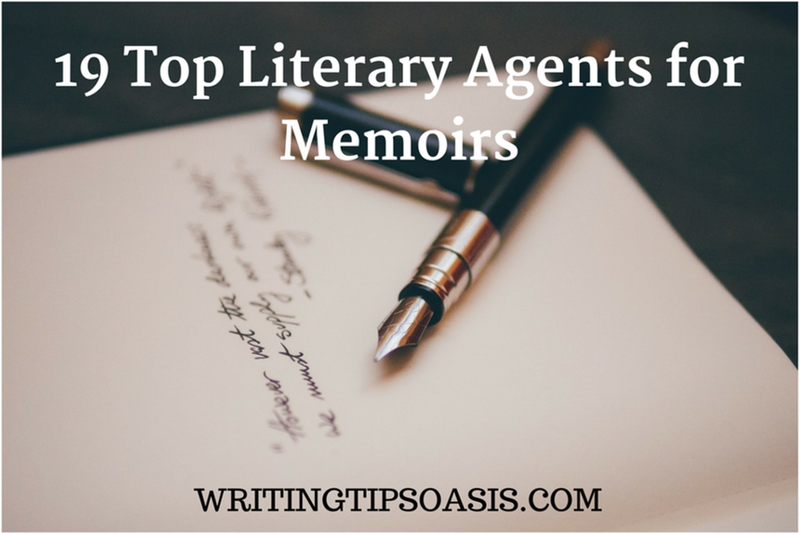 Are you aware of any other literary agents for memoirs? Please tell us more in the comments box below!